Once a very popular form of fire retardant thermal insulation, asbestos was widely used in homes and commercial buildings that were constructed during the 1940s through the 1980s. This substance can also be found in a variety of building and construction materials, such as siding, vinyl tiles, plaster, caulk, paint, and more. Asbestos that is in poor condition and shows signs of deterioration is hazardous to one’s health. It is best for one to know what type of building materials were used during the construction of their property. Breathing asbestos fibers can have some serious effects on one’s health. Mild reactions generally include sinus, asthma, shortness of breath, scarring of the lungs, and other respiratory conditions. Prolonged exposure can lead to the development of Mesothelioma, lung cancer, and other serious and chronic health conditions. These health concerns can take anywhere from 15 to 60 years to manifest from the time of initial exposure. 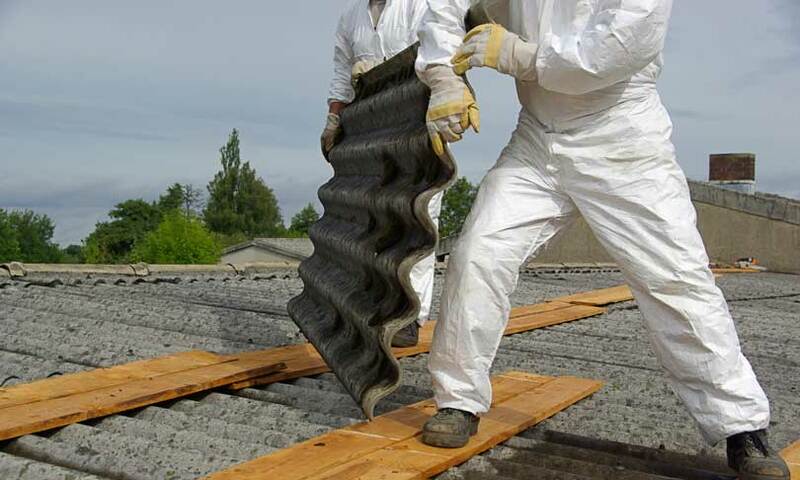 If you suspect that your property has asbestos, contact a remediation company right away. Unlike many other forms of toxins and pests, testing is the only way to properly detect the presence of asbestos. If you notice deteriorating paint, tiles, siding, or paneling in your home, do not touch or disturb anything. Improper handling of any asbestos containing materials could lead to further contamination of the property and increase your risk for serious illness. 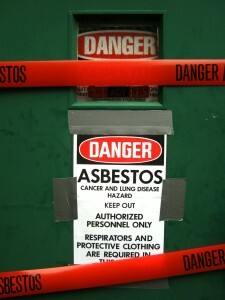 Limit access to the area and contact an asbestos abatement company right away. While you have the option to purchase testing kits, it is safer and faster for you to let a remediation company handle it. Testing requires strict safety protocols to limit the risk of exposure and to prevent the toxic fibers from spreading. A visual inspection is also necessary in addition to the collection of samples. Depending on the amount and location of asbestos that is onsite, it may be necessary for you to relocate while the substance is being removed. The contaminated areas of the property must be contained. Once the contamination has been removed, the property will be retested to confirm that no traces of asbestos remains. The use of asbestos is now heavily regulated. It is still used in many roofing, building, and construction materials. It is only toxic when it is in fiber or powder form. Building materials made with this substance are only safe and nontoxic when they are not scratched, torn, broken or compromised in any way. If you are in doubt as to whether or not your property has asbestos, contact AQHI, Inc. today at 800-481-8080 and let us give you some peace of mind.